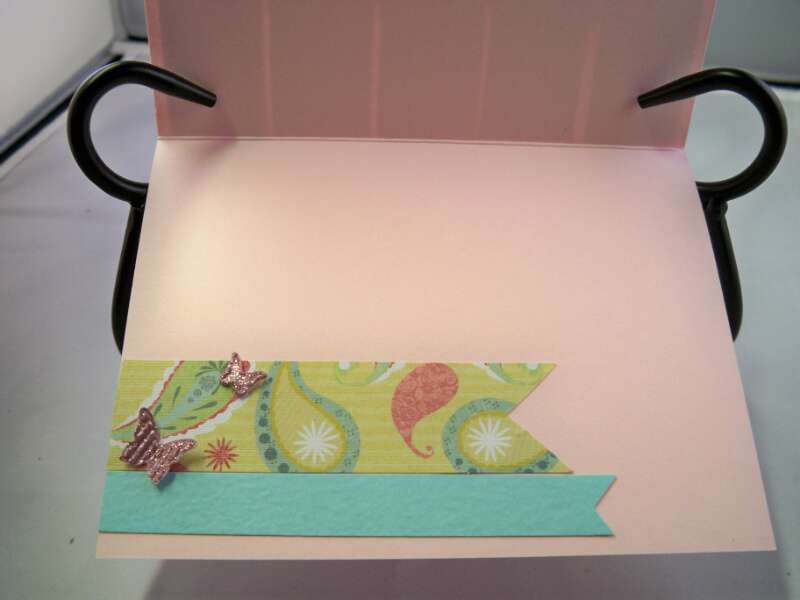 Today’s card is a simple card you can whip together and create it for any occasion . 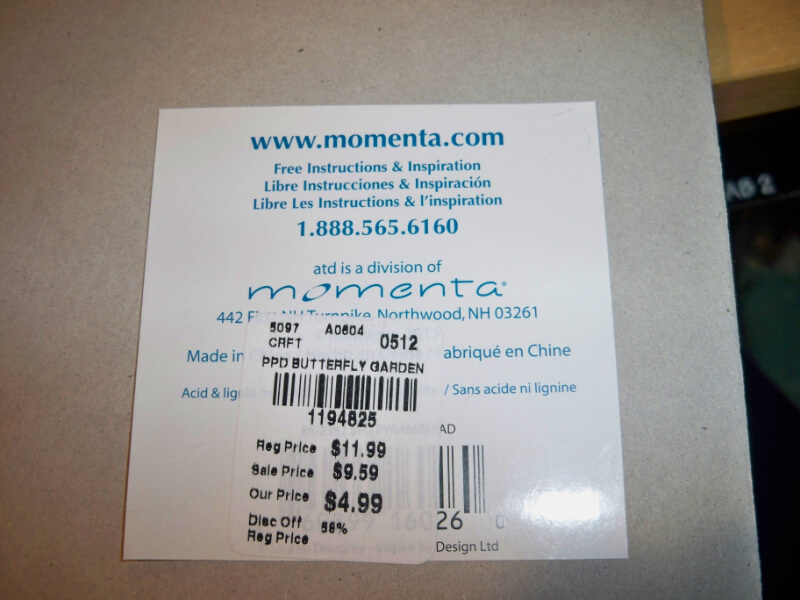 I used a double-sided cardstock pack I bought at Tuesday Morning , I made a great haul that day .I have never heard of this brand (Momenta) but it is beautiful paper .The special thing about double side you get more bang for your buck and because it’s in a paper pack it all coordinates nicely ( no hunting in your stash ..lol ..you know exactly what I am talking about here ). 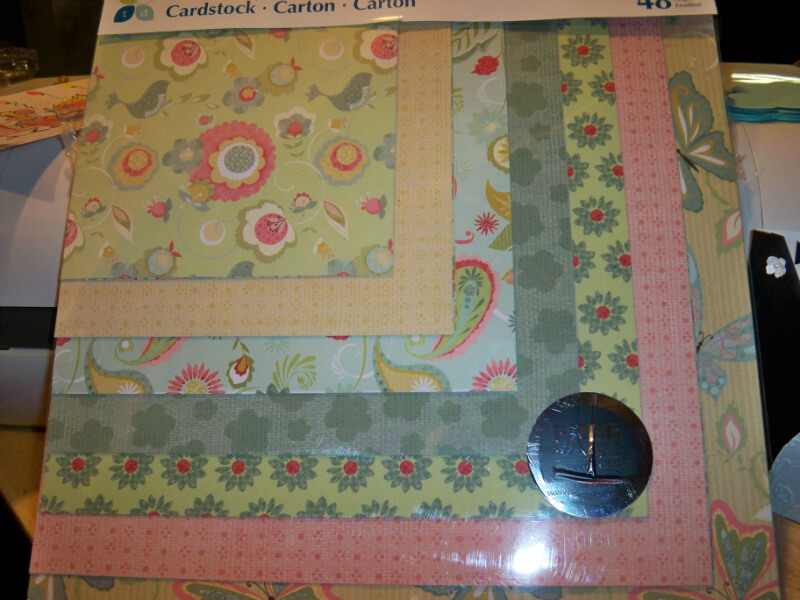 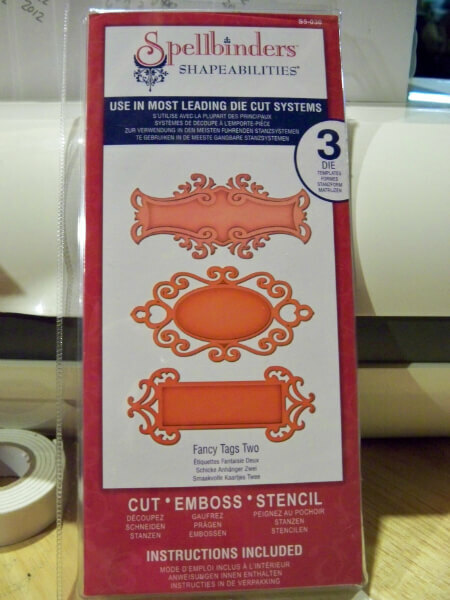 Next cut he base of you card 5 1/2″ by 81/2″ score at 41/4″ fold in half , next stamp a background image of the same color of the cardstock, next I cut 3 strips at 1′ , then cut 5 strips at 3 3/4″ , because the paper is double-sided you can flip and arrange how you like , now layer on top and make one fork cut at the end of the strip , doing this make them all uniformed in cut , now I found the middle and lay first banner down , work from outer edge on both side next , now lay next strip on either side , working like this you can space each strip perfectly..Next I use a spellbinder die to cut a fancy tag , run it thru the big shot and while it’s still in the frame I inked the tag to give it great dimension .I pop it out and then stamp the sentiment of choice , today I choose congratulation , this way I can always have this card and can change it up to anything by stamping the inside later with a another sentiment like Happy Birthday , Happy Graduation , It’s a girl / it’s a boy , On your Wedding , it’s very easy to change it to be exactly the card you need .I then pop dotted up the tag added pearls and butterflies . 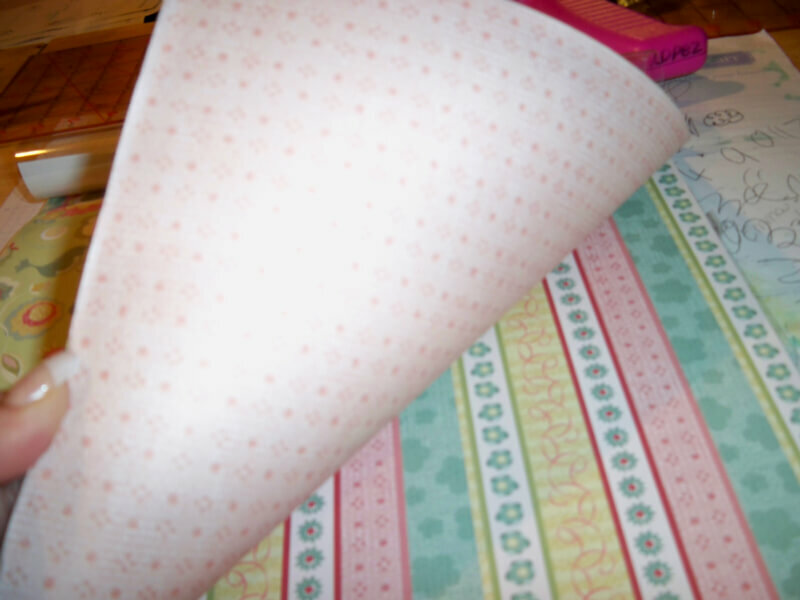 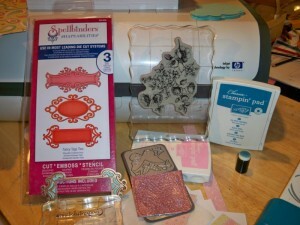 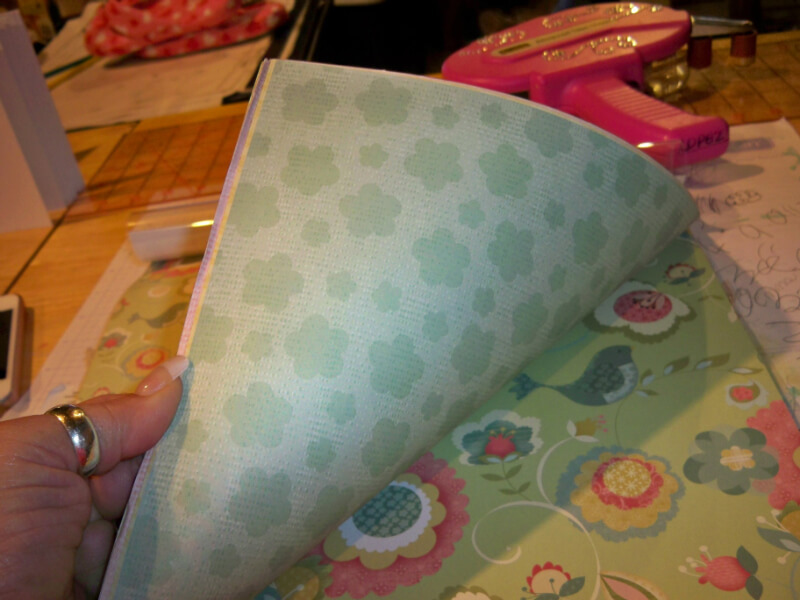 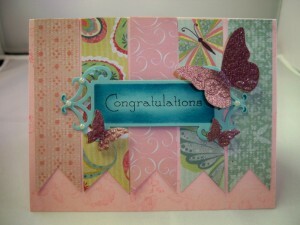 next I used scraps to create more side banners inside the card and added more baby butterflies .